Mon., 25 Nov. - Sat., 7 Dec.
Wed., 20 Nov. - Wed., 4 Dec.
Fri., 27 Sep. - Fri., 8 Nov. Thu., 27 Feb. - Mon., 16 Mar. Mon., 30 Sep. - Sat., 9 Nov. Sat., 25 May - Thu., 6 Jun. Thu., 23 May - Sun., 2 Jun. Sat., 15 Jun. - Fri., 28 Jun. Sun., 13 Oct. - Sat., 19 Oct. Tue., 24 Sep. - Thu., 10 Oct.
Wed., 5 Jun. - Thu., 20 Jun. Wed., 9 Oct. - Mon., 14 Oct.
Wed., 9 Oct. - Tue., 22 Oct. Sat., 28 Sep. - Sat., 9 Nov. Sat., 2 Nov. - Sun., 10 Nov. Sun., 1 Sep. - Mon., 9 Sep. Sun., 13 Oct. - Sun., 27 Oct.
Fri., 24 May - Sun., 9 Jun. Fri., 10 May - Mon., 11 Nov.
Wed., 28 Aug. - Sun., 22 Sep. Tue., 7 May - Thu., 20 Jun. Mon., 17 Jun. - Fri., 28 Jun. Sun., 13 Oct. - Tue., 29 Oct.
Fri., 14 Jun. - Sun., 30 Jun. Wed., 18 Sep. - Wed., 2 Oct.
Fri., 4 Oct. - Wed., 9 Oct. Mon., 15 Jul. - Tue., 30 Jul. 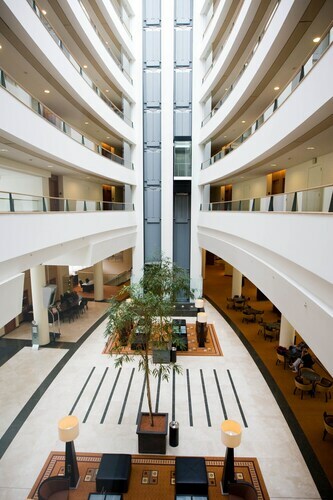 Situated near the airport, this hotel is within 9 mi (15 km) of NATO Headquarters, European Union Parliament Building, and Cathedral of St. Michael. Royal Museums of Fine Arts of Belgium and Museum of Musical Instruments are also within 9 mi (15 km). Zaventem Brussels-National-Airport Railway Station and Brussels National Airport Station are within a 2-minute walk. 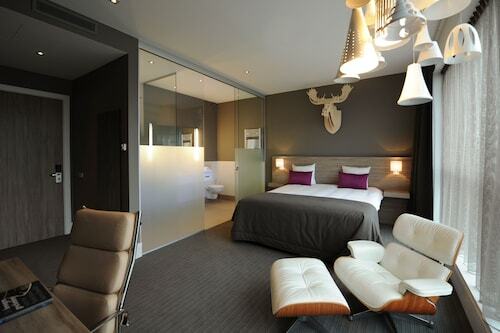 This family-friendly Machelen hotel is located near the airport, 2.9 mi (4.6 km) from NATO Headquarters, and within 6 mi (10 km) of Brabantse Golf and Cliniques Universitaires Saint-Luc. Woluwe Shopping Centre and European Union Parliament Building are also within 9 mi (15 km). Zaventem Station is 18 minutes by foot and Machelen Diegem Station is 28 minutes. Situated near the airport, this hotel is 1.6 mi (2.6 km) from NATO Headquarters and 2.9 mi (4.7 km) from Cliniques Universitaires Saint-Luc. Woluwe Shopping Centre and Train World are also within 6 mi (10 km). Machelen Diegem Station is 18 minutes by foot. 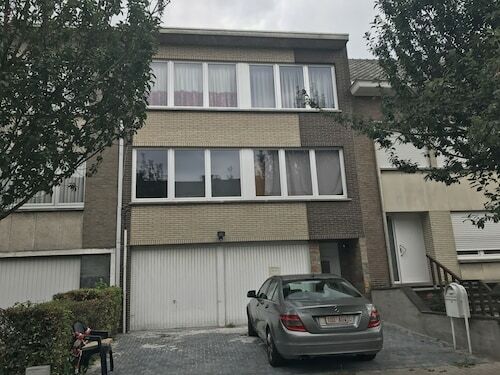 Situated near the airport, in Zaventem, this apartment building is close to NATO Headquarters and Cliniques Universitaires Saint-Luc. Area attractions also include Atomium and Mini-Europe. 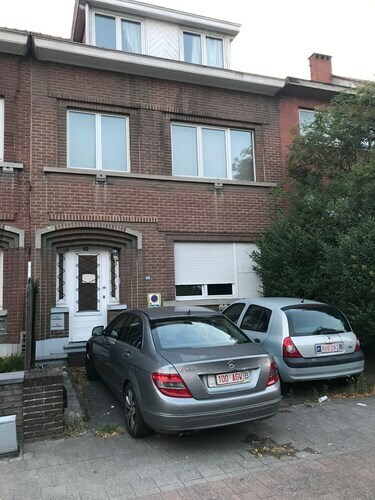 Situated in Zaventem, this property is within 6 mi (10 km) of NATO Headquarters, Cliniques Universitaires Saint-Luc, and Woluwe Shopping Centre. Train World and Docks Bruxsel are also within 6 mi (10 km). Zaventem Station is 18 minutes by foot and Zaventem Brussels-National-Airport Railway Station is 23 minutes. 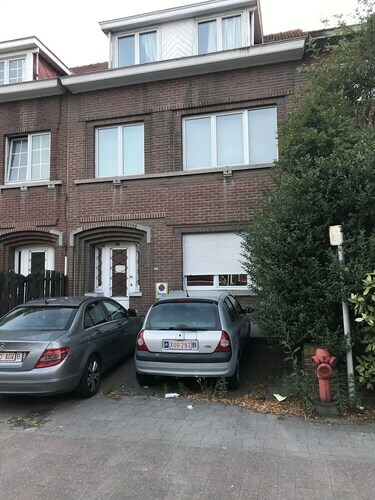 Located in the heart of Zaventem, this property is 2.9 mi (4.6 km) from NATO Headquarters and 2.9 mi (4.7 km) from Cliniques Universitaires Saint-Luc. Woluwe Shopping Centre and Train World are also within 6 mi (10 km). Zaventem Station is only a 5-minute walk. Situated near the airport, in Zaventem, this apartment building is close to NATO Headquarters and Cliniques Universitaires Saint-Luc. Area attractions also include Atomium and La Grand Place. 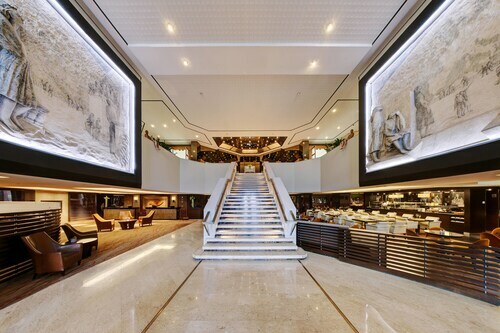 Situated near the airport, this hotel is 2.9 mi (4.7 km) from NATO Headquarters and within 9 mi (15 km) of Royal Palace of Brussels and Manneken Pis Statue. Brussels Expo and King Baudouin Stadium are also within 9 mi (15 km). Zaventem Station is 17 minutes by foot and Machelen Diegem Station is 30 minutes. Question : How much time do people spend in Brussels? Answer : The average time spent hanging out in Brussels by travellers from Toronto is 12 days. Answer : You sure can change your departure or arrival date and you may save money by doing it. The cheapest day to fly in May is Tuesday. Flexibility is key when booking travel plans in order to keep costs down. Question : How much is a plane ticket to Brussels (BRU) from Toronto (YYZ)? Answer : They can range anywhere from $678 to $6,429. Booking in advance can usually help you get the cheapest ticket. However, usually the sooner you book, the better price you get. Answer : The cheapest day to fly from Toronto to Brussels is on Tuesday. If you want to save some cash on your next trip look for flights on Tuesday. Question : How many flights are there per day from Toronto to Brussels? Answer : The number does differ by the day of the week, but on average, you can expect two different choice of flight times when you book. Compared to the average route departing Canada with six flight times, you'll have fewer options. Question : What is the cheapest airline flying from Toronto to Brussels? Answer : Aer Lingus is offering the best deal at $678. Better take a look quickly because prices range all the way up to $6,429 over the next three months. Question : What is the cheapest date to fly to Brussels? Answer : As of Apr 22nd, the best day for deals to Brussels (BRU) is May 14th. A ticket will put you out $678, which is 46% below the average price to book the same route. Love the chocolate at the end. Nice touch. Made me buy more at the airport during my layover. I travelled with my baby for the first time ever and the flight attendents took such amazing care of us. So grateful - they eased my anxiety! Not the best entertainment onboard - limited selection. Also, Did not enjoy the intoxicated passengers behind us (not fault of the airline of course). I accidentally left my wallet on the plane and the attendants helped me to retrieve it before my connecting flight. I feel so much better now! Thank you! Happy with our overall experience.